The French top chef who cooked for fast-food-loving US President Donald Trump atop the Eiffel Tower during his visit to Paris last year went to court Thursday to challenge his eviction from his lofty perch. 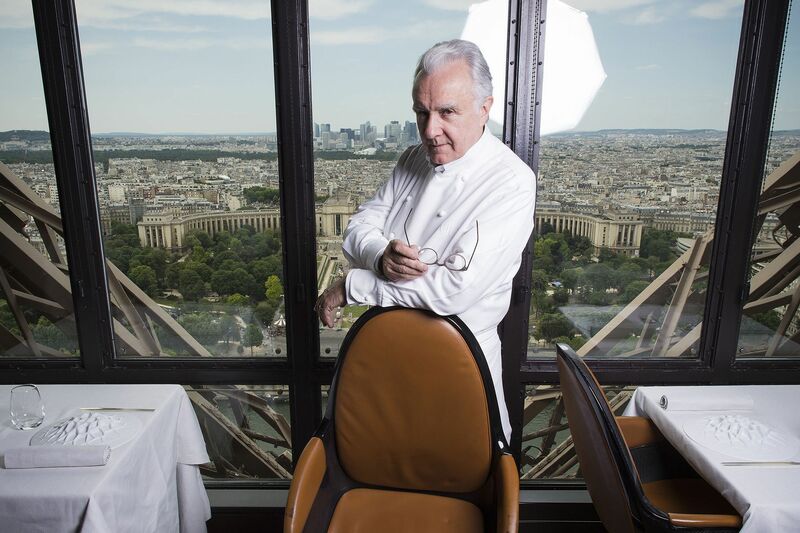 Alain Ducasse, one of France's best-known chefs, has reacted furiously to his ouster from the Jules Verne restaurant on the second floor of the Eiffel Tower, where French President Emmanuel Macron hosted Trump at a glitzy Bastille Day dinner in July 2017. After a decade on the monument Ducasse was dethroned by fellow star chefs Frederic Anton and Thierry Marx, who won the 10-year tender to run the Jules Verne, as well as a brasserie on the first floor and snack counters. In court Ducasse's lawyers argued that the 61-year-old impresario, who has won a total of 21 Michelin stars for his restaurants dotted across the globe, was now "the most-starred chef in the world" after the death earlier this month of fellow culinary legend Joel Robuchon. They accused the consulting company used to rate the competing bids of a conflict of interest, noting that it had in the past done consulting work for the company representing Anton and Marx. Perched 125 metres (410 feet) above ground the one-star Jules Verne has unparalleled views of the French capital, from the Louvre museum to the golden dome of Napoleon's tomb at Invalides on the left bank of the Seine river. The prices reflect the location, with Ducasse's five-course dinner menu costing a cool 190 euros ($215) a head. In a statement last month Anton and Marx said cooking on the Eiffel Tower, which received 6.2 million visitors in 2017, was their "wildest dream". The tower's operator SETE said the pair had been chosen because they offered a "strong leap in terms of quality" with dining options that caters to to all budgets and respect the environment by giving priority to local products and minimising waste. Marx, the owner of the two-star Sur Mesure restaurant at the Mandarin Oriental hotel in Paris, has also been praised for setting up free cooking courses for the unemployed. Anton is the chef of the three-star Le Pre Catalan restaurant in the Bois de Boulogne park west of Paris. The pair are due to take over at the Jules Verne in October. The commercial court, which is hearing Ducasse's complaint, will rule before then on the legality of the tender process. Its decision is expected on August 28.